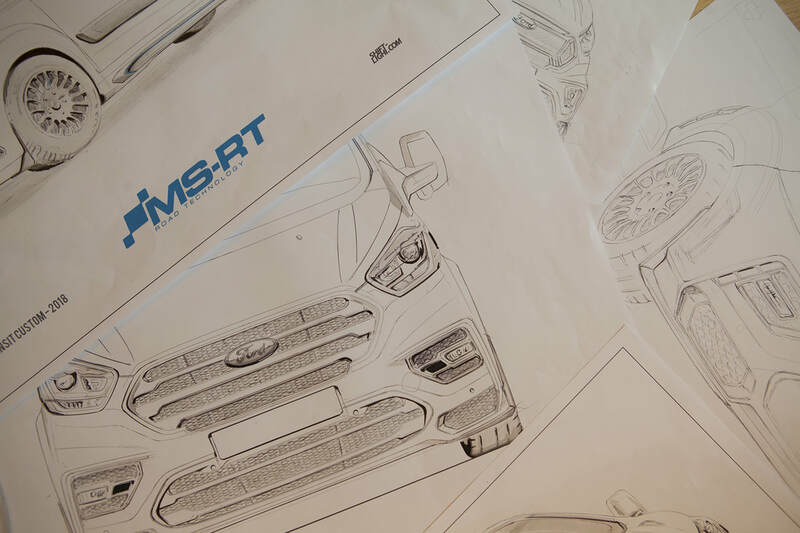 MS-RT are a British collaboration between vehicle specialists Van-Sport and motorsport legend Malcolm Wilson. 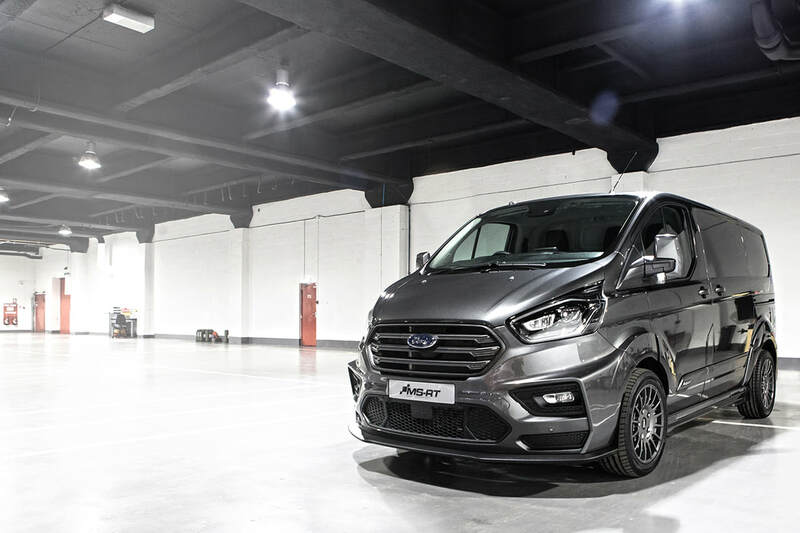 They fuse tough and reliable Ford vehicles with a sporting edge. The MS-RT brand builds on 20 years of motorsport experience, including the World Rally Championship, Global Rallycross and GT3 Racing. 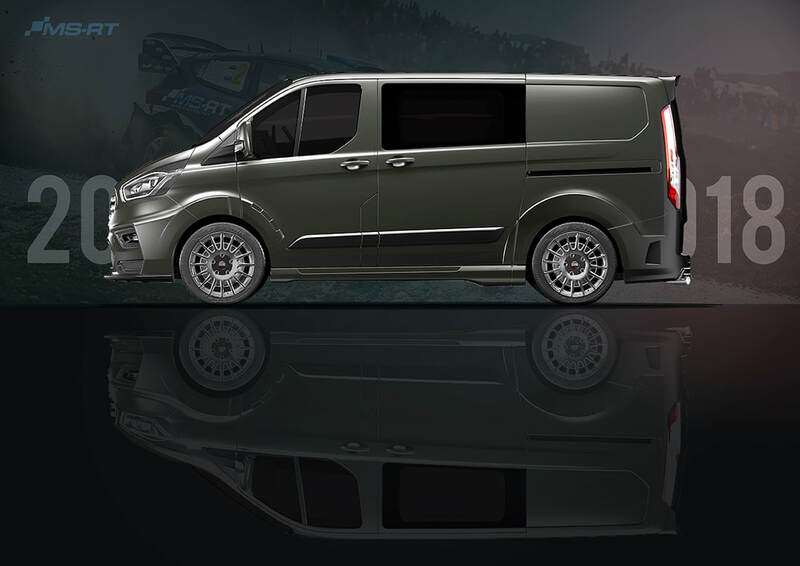 Building upon the success of the already popular MS-RT Ford Transit Custom a new base model facelift for 2018 necessitated a whole new set of body styling for MS-RT that had to be aggressive, integrated and build on the rally-esq aero features four not the championship winning MS-RT WRC fiesta. New front bumper, facia and grilles were to be designed along with side sills and wheel arch extensions and at the rear, new quarter panels, diffuser, exhaust and spoiler. From idea generation in rapid sketching, through to presentation sketch renders the time scale was tight for the initial stages, but we forged forward with a design, this time straight to CAD where design aesthetic assistance was given right through until tooling. Teaming up with great CAD partners and toolers, the fine outcome in both stunning and the parts are to OEM standards.